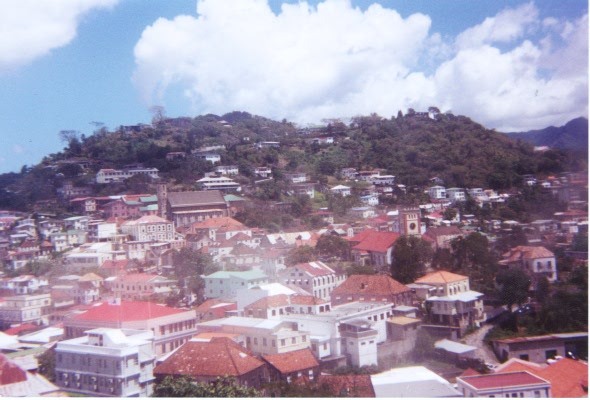 This picture shows Grenada's capital. 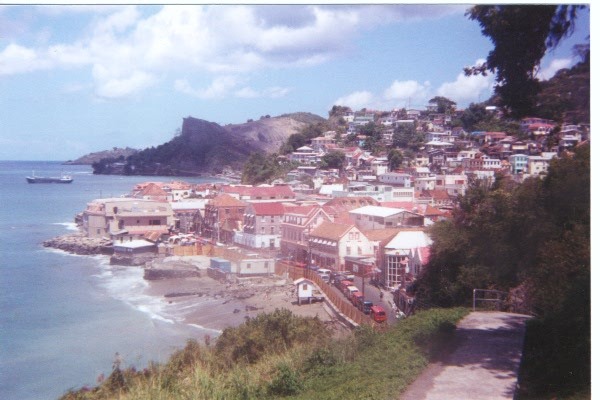 Many of these buildings are more than one hundred years old and are solid as when they were built. Another look at these Historic buildings. 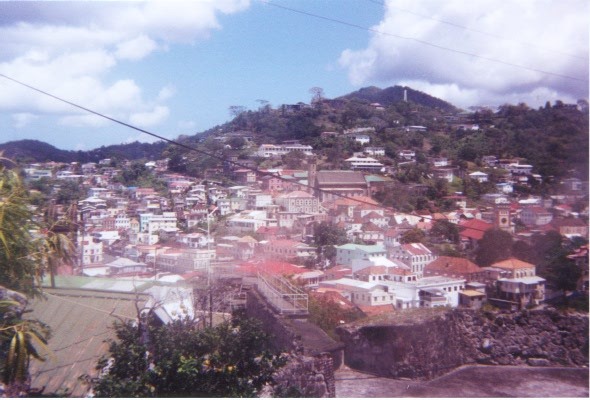 Two of the oldest churches in Grenada- The Roman Catholic (top left) built in 1884 and The Anglican (to the right) 1825 are better visible.